Mark Development recently bought the Newtonville Post Office building and other parcels. NEWTON — The developer behind the Washington Place project in Newtonville has expanded his Washington Street portfolio with a series of purchases that include the neighborhood’s post office branch. But Robert Korff’s Mark Development has no immediate plans for the Newtonville Post Office or three adjacent properties that he purchased in recent months, according to a statement. 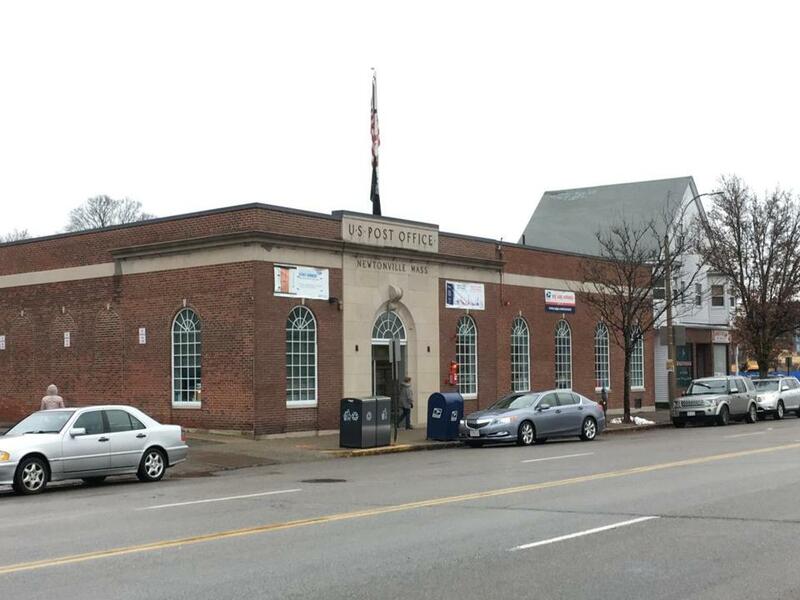 In October, Korff’s Mark Kempton LLC purchased the land that includes the Newtonville Post Office building for $6.75 million from Postal Limited Partnership, a subsidiary of The Bulfinch Companies Inc. The Newtonville Post Office has full retail operations and houses 11 carrier routes that sort and deliver mail to just over 4,000 addresses in the 02460 ZIP code, according to Steve Doherty, a spokesman for the US Postal Service. The Postal Service has a lease on the Washington Street property that expires February 2022, Doherty said in an e-mail. “At this time the new owner has not indicated any intent to terminate that lease or redevelop that property,” Doherty said. In the statement, Mark Development indicated that the Post Office would remain, though not necessarily unchanged. “In particular, we see an ongoing role for the retail component of the Post Office in any future project we may propose, though it is not clear that a Post Office distribution center use meets the collective long-term goals for this area,” the statement said. Along with the Post Office property, Korff acquired the two-family home at 21 Washington Terrace for $1.575 million in August. And in September, he purchased the two-family at 17 Washington Terrace for $1.2 million. In October, he bought the commercial building at 885 Washington St. for $2 million, records show. The newly acquired properties are west of Washington Place, a mixed-use development Korff is building that will add 140 apartments and retail space to the neighborhood. Korff also purchased the commercial property at 793-821 Washington St., at the corner of Central Street, for $6.15 million in March, records show. Mark Development has no plans for the property, according to a spokesperson. Gary Elbakyan, the owner of Lux Shoe Repair at 811 Washington St., said he expects to find new customers among the future residents of Washington Place. “For my business, I know it will be better,” Elbakyan said. The recent land acquisitions will not result in any changes to Washington Place, according to the developer. Mark Development is focused on moving forward with construction of Washington Place, “which we believe will reinforce the positive impacts of thoughtfully designed, mixed-use projects on the Washington Street Corridor,” the statement said. Paul Turano, executive chef and owner of Cook Newton at 825 Washington St., said the new development will improve Newtonville’s appearance and bring some needed parking to the area. The building that houses his restaurant lies between Washington Place and the Korff-owned property at 793-821 Washington St.
“I see this as a win for local businesses as they are bringing more residents and a win for the existing residents that will be getting more retail,” Turano said in an e-mail. Korff previously told the Globe he is looking to remake the 2-mile stretch of Washington Street along the Massachusetts Turnpike with more housing, parks, and accessibility for pedestrians and bicyclists. Early this year, he purchased the Santander Bank building in West Newton Square with the goal of turning it into the new headquarters for Mark Development. Korff is not alone in envisioning the future of Washington Street. In April, Newton Mayor Ruthanne Fuller launched a city-led effort to re-think zoning and development along the Washington Street corridor. The “Hello Washington Street” program, which is due to be finished in May 2019, is intended to create a vision plan and draft zoning recommendations for the section of the street between West Newton to Newton Corner. A public comment period for the draft of the plan was scheduled to end Sunday, Dec. 2. Mark Development supported the city’s zoning work for the area, the company said in its statement. “We are pleased that the city is engaging in such a professional and comprehensive planning process for Washington Street and hope that our future development proposals for the Washington Street corridor will build on the recommendations of the Hello Washington Street initiative,” the statement said. Korff is also involved in a proposed mixed-use development at Newton’s Riverside MBTA station that would include eight residential buildings, two office buildings, and one combination hotel and condominium building along Route 128. Clarification: This story has been updated to clarify that Cook Newton is located next door to Robert Korff’s property at 793-821 Washington St. Cook Newton’s building has not been sold to Korff.